Standard version is built with polyurethane foam shutter mm 40 thick, white pre-painted plate finish, door frame, swing-out door edge, anodised aluminium hinges and PVC handles. This door is built with thermal or cold cut profile made of pre-painted aluminum, complete with handle and lock. Standard version is built with polyurethane foam shutter mm 40 thick, white pre-painted plate finish, with swing-out door edge and anodised aluminium door frame, suitable for panel mm 60/80 thick, PVC hinges with inox steel pivot and shutter with automatic blocking system at 90°. Made of polar PVC strips with Inox steel fast release support. Stiff PVC has a strong chemical stability and a high fire resistance, ranked in class 2 and self-extinguishing. Stiff PVC is a thermoplastic material and its structure is amorphous, strong, with a high module of flexibility, it is used when temperature is between -10°C and +60°C. Up to 60°C stiff PVC resists to the most part of diluted or concentrated acids. Stiff PVC is physiologically inert, is a good electrical insulator and absorbs little water. Ferbox strips door is suggested and installed to avoid high leakage inside cold rooms linked to spaces set at a different temperature. 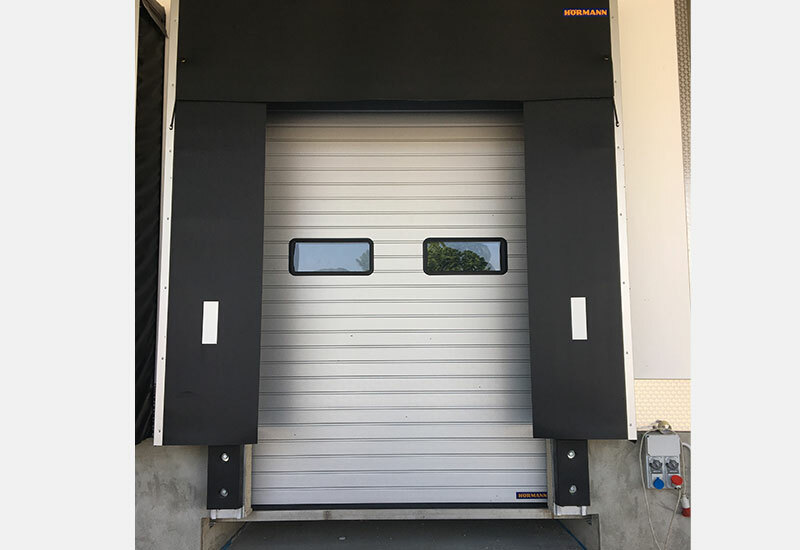 It is usually combined with a freezing door in case of high coming and going of means of work and staff where opening and closing leakproof doors by hand would be too difficult. The freezing door is left open while the strip curtain is used until the end of the working day when the door is closed by hand. 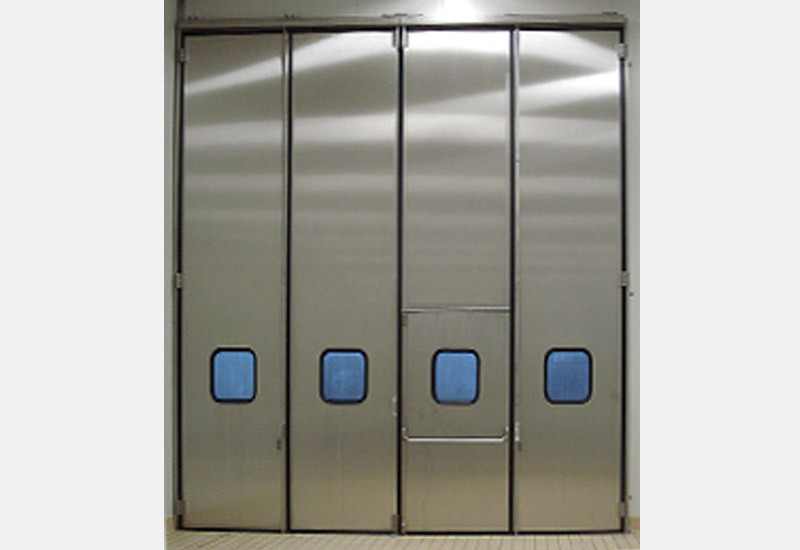 Strip doors are especially suitable for buffering large spaces. Flexible materials allow to isolate from dust, steam, smoke, noise, etc…, besides thermal insulation between compartments, creating a diaphragm that significantly improves working conditions inside industrial and business environment. Such flexibility allow the strips to perfectly adapt to the vehicle shape, minimising the dimension of the opening and creating a fitted passage every single time. 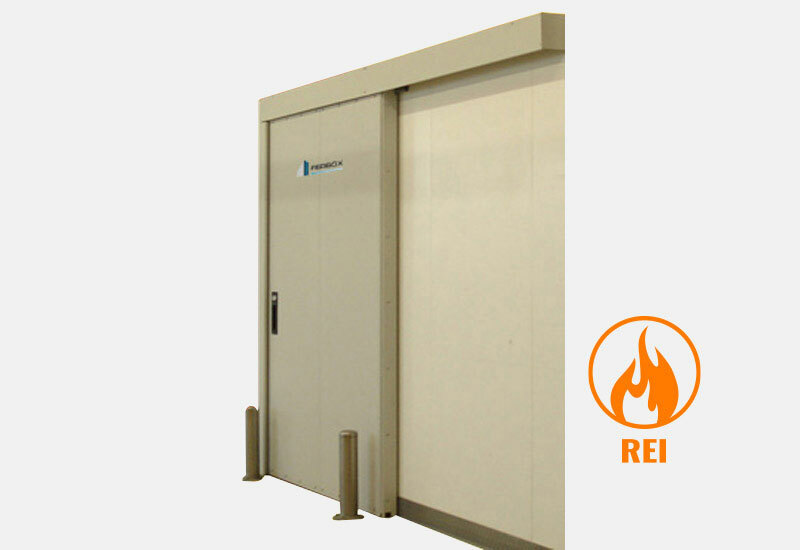 It is an automatic closing system designed for rooms with positive, low temperature and zero degrees. 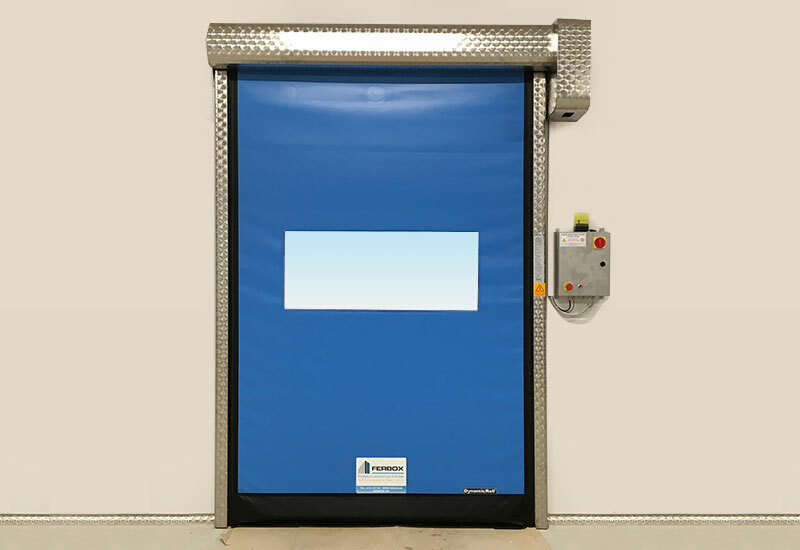 Constructive features meet the needs of an automatic fast vertical retractable door that can be combined with a freezing door and maintain the temperature constant inside spaces with freezer facilities such as cold storages and processing rooms, making the passage of ongoing forklifts and staff easier. What makes it innovative and cutting-edge is the coat, extremely flexible, self-extinguishing ranked in class 2, with the possibility to have it with a central window or totally transparent, for a perfect visibility and control of inner rooms. The high speed of opening and closing allows to reduce energy dispersion, avoiding the need to oversize the refrigeration system with a consequent remarkable saving. Another benefit is provided by the compact and functional structure with a single structure equipped with crankcase that can be inspected and mechanical elements and electromechanical. 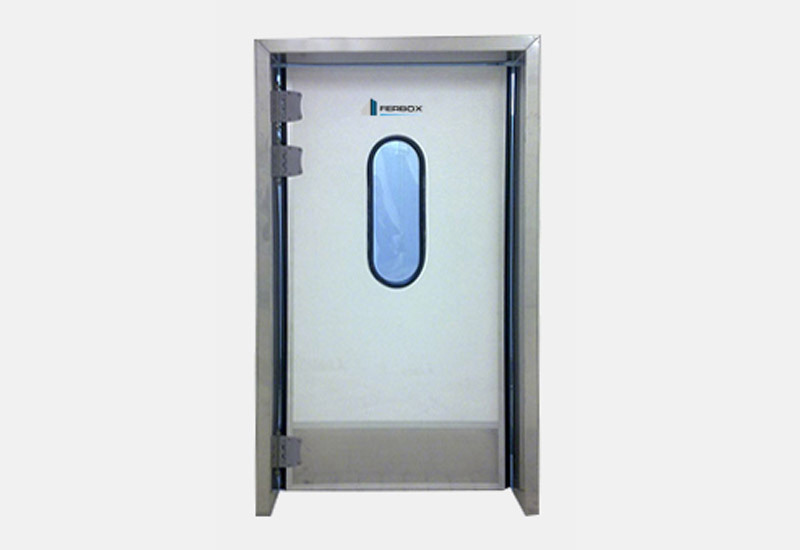 These features make the door perfect for every installation that need a reduction of space with the possibility to insert the door inside or outside the compartment. 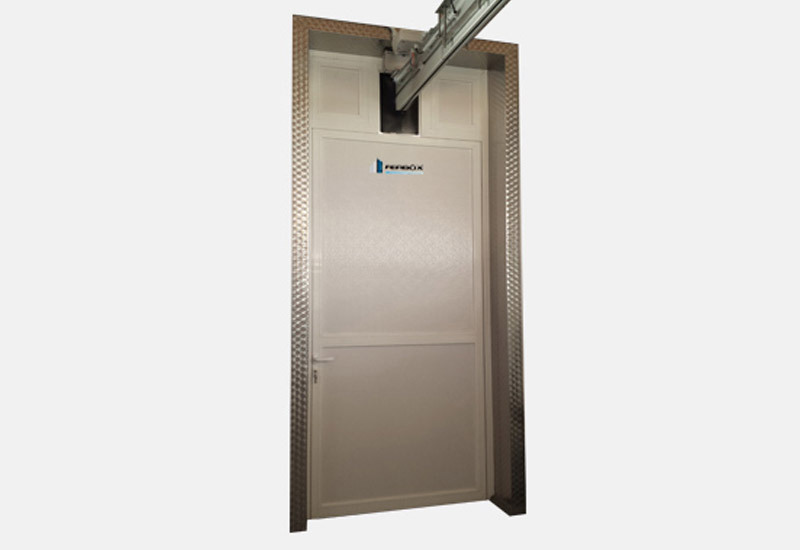 Ferbox fast winding door is equipped with all the devices required by laws to guarantee the complete safety and efficiency to every single operator. Automatic damper with pre-painted aluminium door, with zinc-coated steel corbel support, winding shaft painted with an undercoat, with rows of polycarbonate windows. Winding aluminium and steel dampers are more affordable thanks to their ingenious and simple structure made out of few components. These closing systems prove their reliability everyday. 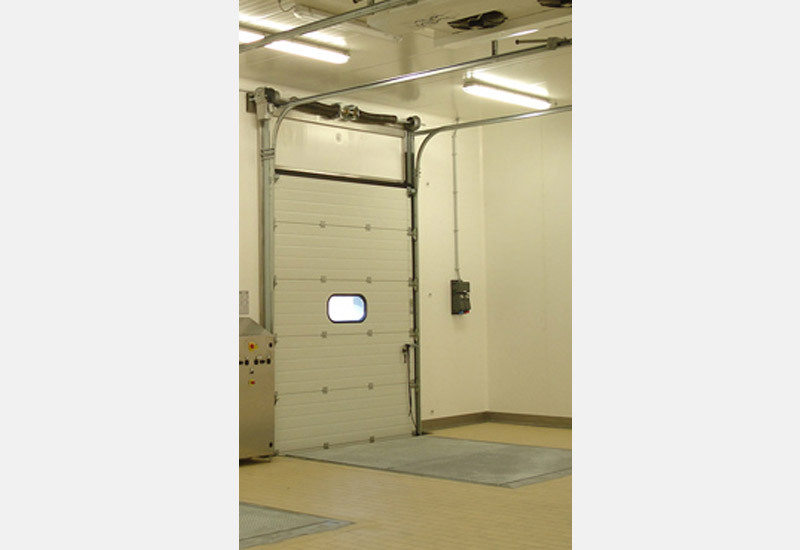 Winding dampers need a limited space because the door winds up in a compact roll saving as much space as possible. Opening and closing movement of the damper is significantly helped by the traction spring system. Manual or automatic versions are available. Winding dampers with dimensions up to 6 × 4.5 mt. can be activated also with a little manual effort, while mechanism and technology of motorised winding doors are protected from damage thanks to weight balance of traction springs. The perfect performance of the winding damper is due to the balance and interaction among components especially because they come from the same supplier, guaranteeing longevity, safety and extremely easy maintenance. Insulating sectional door, vertically sliding, with sliding slot, group of counterweight springs, parachute automatisms and porthole. Sectional doors pop up vertically, saving space behind and in front of the door. Inside the building, the door takes up little useful space because it places in parallel to the ceiling, along the inclination of the roof or vertically along the wall. 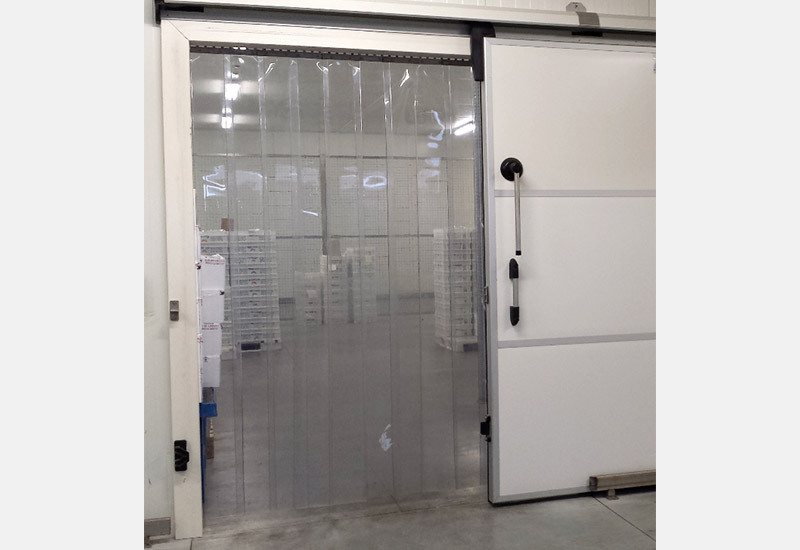 Installation outwith the opening allows to fully exploit the passage, avoiding damages to products and loading means. Folding doors are built in Inox steel and perfect for sheds with low ceiling and when the static does not allow a further load on the roof, so it is recommended to consider the type of application during design phase. 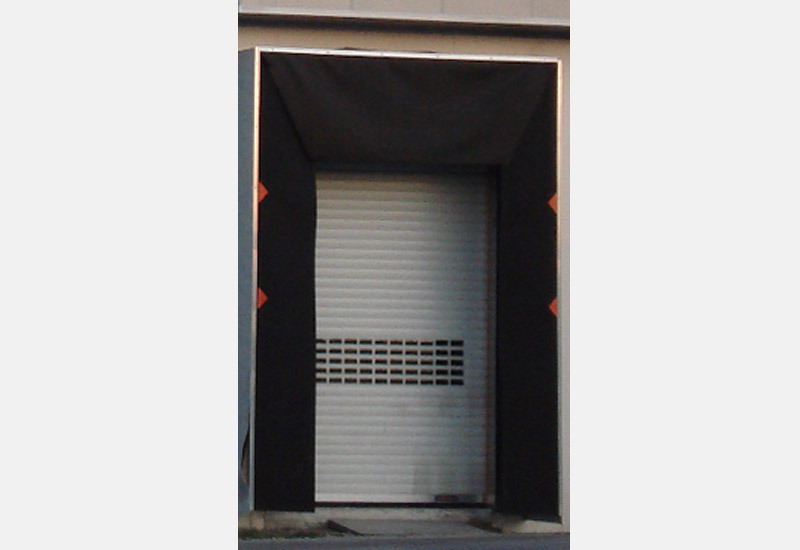 Folding doors are especially suitable for warehouse doors, depots and industrial buildings. The aspect ranges from 2 to 16 shutters, they are available with width up to 20 m and height up to 6 m, with full surface or with different types of window, with double insulated wall, orthogonal and with porthole. 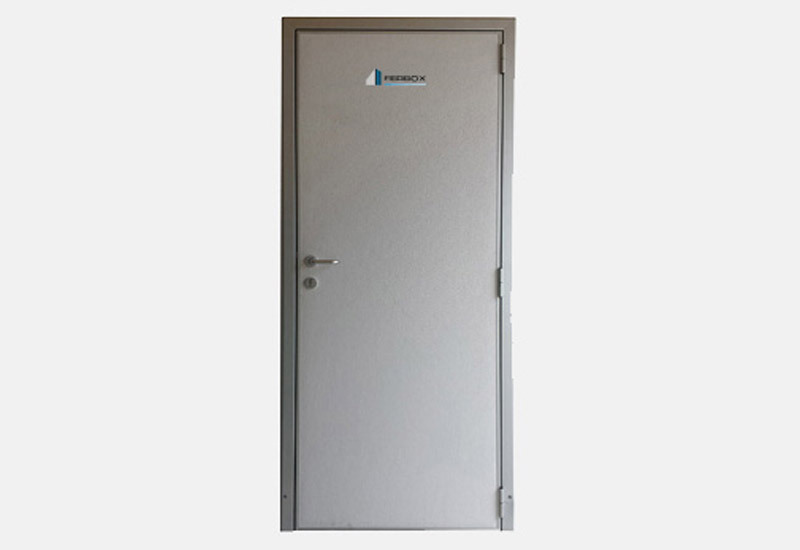 Many versions are available on demand complete with pedestrian door, with pedestrian split shutter or with side door, made of zinc-coated plate and pre-painted (Sp 8/10) with sandwich panel and interposed polyurethane foam, highly insulating without CFC. With doors installed outwith the opening it is possible to better exploit the whole space inside the shed, so that the space would not be wasted on the side, on the ceiling or under the roof. This product is suggested especially against break-in and burglary. Shutters placed on the side reduce the risk of damaging the door during the transit of vehicles because they are under the full control of the driver. If the side space is enough, the whole width of the passage are exploitable. Steel folding doors are made with the most advanced technology and are consistent with the high safety requirements of UNI EN 12604 project law and UNI EN 12453 for motorised version. Even though the production is computer-aided, it is possible to meet these requirements only with a staff well specialised in production and quality control, careful and aware of these responsibilities. Strong products, designed and tested to the slightest detail, suitable for any need and built to last long: these prerogatives make them perfect for Italian market. Certainly, spare parts are original and available for 10 years. Ferbox provides many solutions to save time during loading and unloading operations or transfer of goods. Electro-hydraulic loading platforms, building of frame and loading bed with strong Inox steel or pre-painted profiles, loading bed made of non-slip tear plate, with a payload of 6000 kilograms each. Loading points are industrial solutions specifically designed to help any storage and goods delivery operation, they are dedicated to logistics companies and mass distribution. These systems allow to carry out every operation with extreme ease and total safety for the driver. It will be the duty of Ferbox staff to create the perfect solution for every customer as a result of a preliminary inspection, considering the specific manoeuvre needs, looking after the design of loading points and automatic industrial entrances. Different types of loading ramps and platforms are available. Among the most important equipments inside industrial logistics and handling of goods sectors it is possible to include loading platforms, specifically designed to help the operator to work safely, fast and optimising the time. Decks and platforms for handling goods are designed to help the link between the vehicle and the verge or the storehouse: platforms allow the lifting of products by only pushing a button, totally safe for the operator. Loading platforms for handling goods are available in many versions and types, according to the specific customer’s needs: these equipments are sold and home delivered, complete with installation and test service, offering ongoing assistance. We guarantee promptness and reliability for assistance throughout Italy. We provide different types of firewall doors, zinc-coated and painted with undercoat. Our supply includes counterweight self-closing devices and release thermal fuse, sliding slot, protective casing and labyrinth seal. 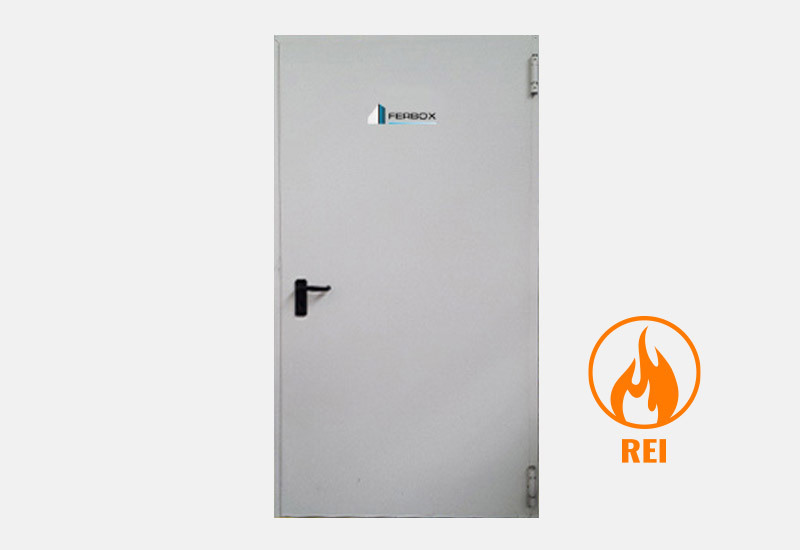 Metal firewall door, totally zinc-coated and painted with RAL colours, profiled frame perfect for large doors. The frame along four sides makes the door reversible for opening both on the right or left. Ferbox Ferbox was born in 1964 starting with homemade production and installation of insulated panels and freezing doors and refrigeration cabinets for small slaughter-houses, small food shops, food storage and sorting facilities. The company guarantees reliable and high quality products.